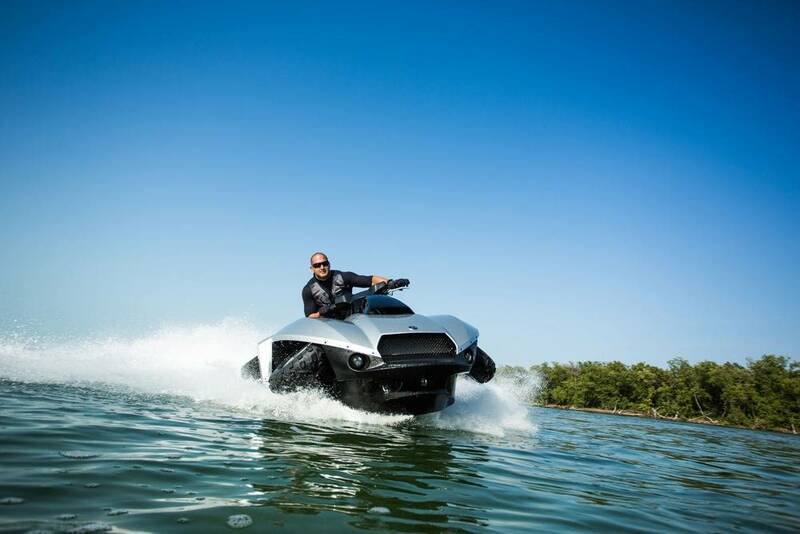 The GIBBS Quadski, will make its Miami debut at this year's International Boat Show. The dream of two visionary entrepreneurs -- Alan Gibbs and Neil Jenkins -- the Quadski is the product of millions of research dollars and years of development work in the U.S., New Zealand and the UK. It is being assembled at a 54,000-square-foot assembly plant in Auburn Hills, Michigan. 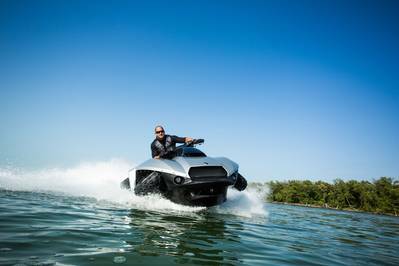 "Quadski represents an entirely new form of transportation," notes Alan Gibbs , the founder of Gibbs Technologies and Gibbs Sports Amphibians. "It is the only sports amphibian in the world capable of reaching speeds of 45 miles per hour on both land and water and can transition between both in less than five seconds." Quadski has a unique retractable suspension system that provides superb ride-and handling on land and retracts in seconds after entering water. The new HSA's four-cylinder, water-cooled engine is considered the lightest powerplant in its segment and features electronic fuel injection, a double-overhead camshaft and dry-sump lubrication. The new HSA, available in five colors, weighs 1,300 pounds, is equipped with a 15-gallon fuel tank and retails for about $40,000.